Gibbon Heating & Air Conditioning has been serving Saskatoon and surrounding areas for 40 years. 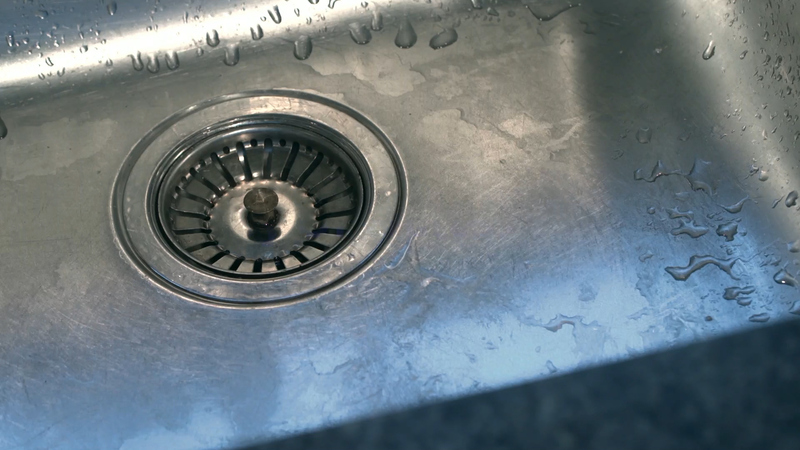 We are a ‘total service’ company with trained technicians who are able to provide customers with solutions to all of their plumbing, air conditioning and heating ( HVAC) related requirements. 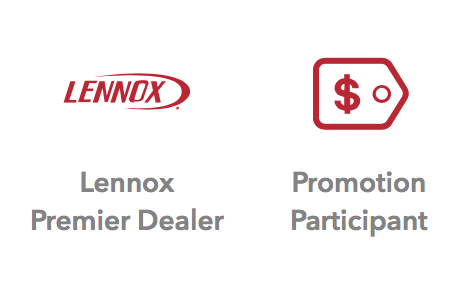 As an Independent Lennox Premier Dealer, the Gibbon Heating and Air Conditioning team is proud to provide prompt, courteous and professional service that is required by Lennox’s Quality standards! As a Premier Dealer Gibbon Heating & Air Conditioning is committed to ensuring your complete satisfaction of the products you choose and the service you receive. We are regularly evaluated through an independent customer satisfaction survey process. We are trained to design, install, service, and maintain home comfort and indoor air quality systems. 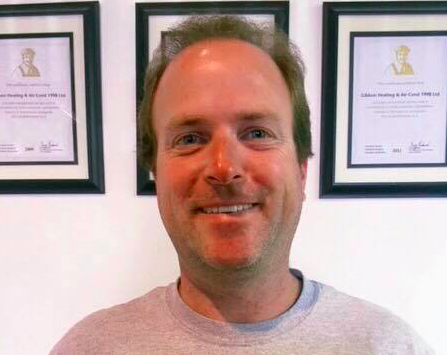 Brent Badrock has been in the Saskatoon HVAC and plumbing industry for 18 years! He received his journeyman’s plumbing red seal in September 2015. Brent is also a certified commercial gas fitter and backflow technician. Starting out as a dispatcher in 2000, Brent quickly climbed the ladder at Gibbon Heating and Air Conditioning which has been one of the major players in his industry in Saskatoon for decades. Leading the service department by example, Brent’s goal is to provide exceptional customer service, as well as educating his clients about the industry and maintenance requirements. Brent is a dedicated family man. He helps coach his two sons in hockey and really enjoys watching his daughter dance. The Badrock’s live on an acreage on the outskirts of Saskatoon and the family has many pets. Brent loves that their home is a place where many of his children’s friends come to play and a lot of time is spent outside in their large garden, pool, and riding their dirt bike trails. When Brent has time to get away he loves to travel as well as spend time at the lake boating with his family. If you choose Gibbon to install your new or replacement equipment, you will see our representatives at least 3 times throughout the sales and installation process. Our process was created to ensure that all of your needs are taken care of. Most importantly, we want to be sure that you are 100% satisfied. No sales pressure or unnecessary up-selling guaranteed! Once you contact Gibbon Heating & Air Conditioning we will schedule an onsite appointment in a timely manner at your earliest convenience. A professional and courteous Gibbon team member will come to your home or place of business in Saskatoon. If required, we will then provide a written estimate on the replacement, repair or new installation of your HVAC and / or plumbing equipment. Once the quote is approved, an installation date will be scheduled. On the day of installation the Gibbon staff member who provided the estimate will accompany your installation crew to communicate the details and specifics of your project. The Gibbon Process ensures there are no mistakes or questions on the details of how, when, or where the equipment will be installed. When your installation is complete, our support staff will make an onsite appointment with the original staff member you dealt with. They will come over to check the installation and answer any questions. Every installation is checked for quality assurance and customer satisfaction. This last step is important to us because we want to build a relationship with our customers. 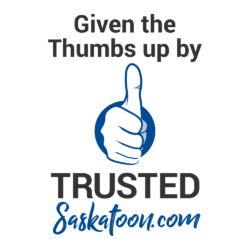 Our customers tell us that Gibbon Heating and Air Conditioning is the most reliable HVAC company in Saskatoon. Check out their feedback and testimonials and feel free to call us for a quote or a second opinion any time! Gibbon Heating & Air Conditioning is proud of our community involvement. Whether it’s funding a local Cubs and Scouts BBQ or helping fundraise for a good cause, Gibbon strives to be a leader in Saskatoon community involvement. Community involvement is very important to Gibbons owner, Brent. He was a Scout Leader for 5 years and both of his sons were Scouts. Scouts is close to Brents heart because he believes it teaches the children discipline, teamwork, respect, independence, and nurtures a love of outdoors. These are all attributes that are important to Brent. Brent has also given back to the Canadian cancer society over the years, even participating in their well known Jail n’ Bail Fundraiser in 2017!